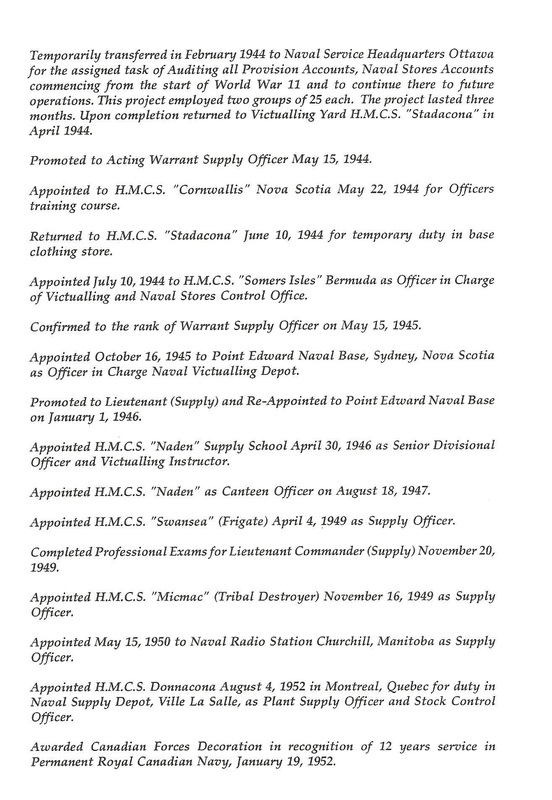 LCdr, O-59977, RCN / C.A.F. 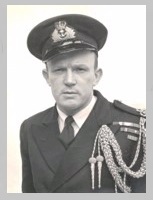 POWELL, William Glyndwr, CD, LCdr, RCN / C.A.F. - Suddenly, but peacefully, at Granite Ridge Nursing Home, Stittsville, ON, on Friday, February 17th, 2006 in his 86th year. Much loved and devoted husband of Norah ( nee Paley ) in their 65th year of marriage. Dearly loved Dad of Lt. Com. Richard (Cathy ) Darthmouth, NS; Susan Baker ( Tom) Carleton Place, ON; and Gordon ( Wendy ), Almonte, ON. Cherished Grampa and Poppa to Jennifer, Justin, Jordon Powell, Jody Baker and Chelsea Powell. Dear son of the late Jonathan and Hannah Powell. 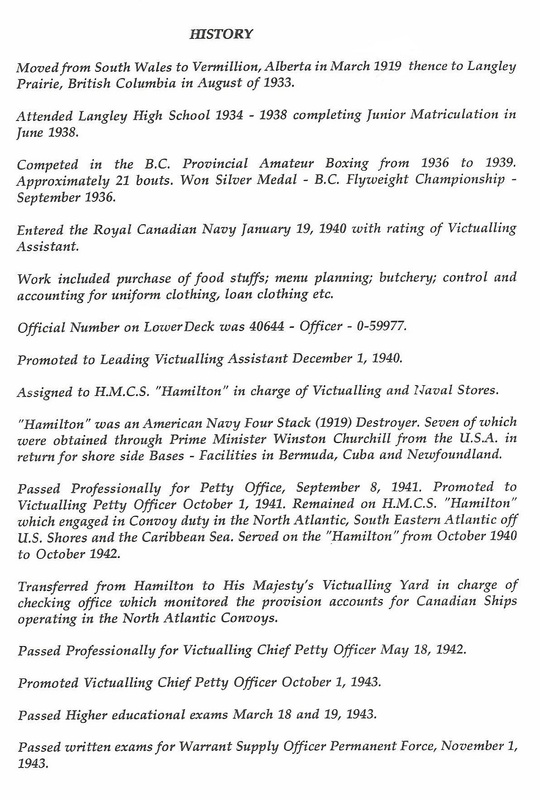 Dear brother of Gwen Rattray ( Chuck ) Squamish, BC, and the late Idris Powell. He is survived by numerous nieces and nephews. 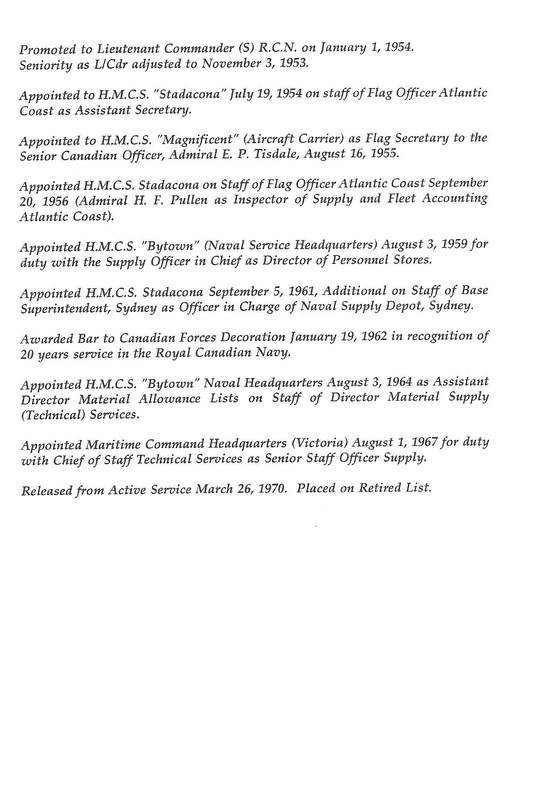 Bill proudly served in the Royal Canadian Navy for 33 years. A Memorial Service will be held at the West Chapel of Hulse, Playfair & McGarry, 150 Woodroffe Avenue at Richmond Road, Ottawa on Monday, February 20 2006 at 2:30p.m. Donations in Bill's memory can be made to the Lanark County Therapeutic Riding Program, 103 Judson Street, Carleton Place , ON or the National Capital Sport's Council of the Disabled, 4-880 Wellington Street, Ottawa, ON.